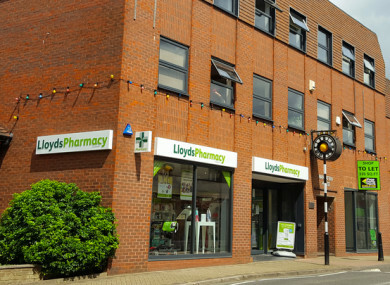 MORE THAN 200 workers at 50 Lloyds Pharmacy stores have voted to go on strike after the retailer rejected a recommendation that it negotiate with trade union Mandate over pay and conditions. Union-member workers at the pharmacy chain were balloted on whether or not to engage in the industrial action. According to the final tally, 92% voted in favour of a strike with a turnout of 74%. Strike action is due to take place on 14 June. Among its demands are the introduction of pay scales, the elimination of so-called zero-hour contracts and improved annual leave entitlements and public holiday pay. Mandate – which represents over 200 workers at the company – told the court that its demands were “no more than what exists” for staff at rival pharmacy chain Boots, which recognises the union. The court was unable to reach a conclusion on the matter and recommended that the two sides engage in further discussions to try to hammer out an agreement. Recommendations from the Labour Court are not binding, and the company did not respond to a request from Mandate to arrange a meeting following the decision. Lloyds Pharmacy didn’t comment directly on the planned strike. Through a statement, a spokeswoman said the company “engages directly with an accepted employee representative committee on all colleague terms and conditions”. She told Fora the employee representative committee “successfully negotiated and balloted on a comprehensive framework agreement” in May. Email “Lloyds Pharmacy workers have voted to go on strike next week”. Feedback on “Lloyds Pharmacy workers have voted to go on strike next week”.